The famous 20 year old R&B singer Chris Brown has pleaded guilty and publicly apologized for beating Rihanna back in February. Brown is expected to be sentenced to five years probation followed by six months of community labor. Although Chris Brown is expected to be permitted to serve his probation in his home state of Virginia, he will be required to return to California every three months to attend domestic violence classes. These charges stem from an incident which occurred back in February of 2009. 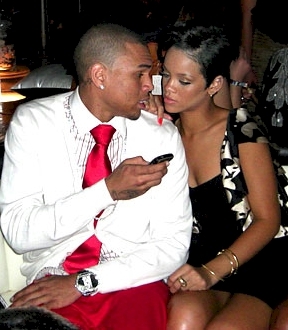 On February 8, 2009, Chris Brown was arrested for allegedly beating, choking, and biting Rihanna as he tried to push her out of a car. If a person is adjudicated guilty of a crime of domestic violence, as defined in s. 741.28, and the person has intentionally caused bodily harm to another person, the court shall order the person to serve a minimum of 5 days in the county jail as part of the sentence imposed, unless the court sentences the person to a nonsuspended period of incarceration in a state correctional facility. This section does not preclude the court from sentencing the person to probation, community control, or an additional period of incarceration. South Florida Criminal Defense Attorney Richard Ansara practices criminal defense including domestic violence throughout South Florida. The Ansara Law Firm principal office is located in Fort Lauderdale, Florida.